I was excited when I learned that the life of Saint Paul was going to be made into a movie. Among the saints, Saint Paul is one who has a movie-worthy life: his dramatic conversion on the road to Damascus, a daring escape plan that involved being lowered down the window in a basket, preaching and provoking riots and getting arrested several times, shipwreck, remaining unharmed after being bitten by a viper. Paul, Apostle of Christ turned out different from what I expected. It is meditative, a bit slow-paced in the beginning, and intellectual. It assumes that the viewer knows a bit about Saint Paul. Nevertheless, the movie is still accessible, and though the movie could have been improved by better storytelling and more action, it is not devoid of tension and drama. In short, I loved the movie despite its flaws. Paul, Apostle of Christ opened at the time of the Roman emperor Nero’s crackdown against Christians after the burning of Rome. Christians were being persecuted, and Saint Paul was arrested, imprisoned in the Mamertine Prisons, and condemned to death by beheading. (For parents concerned with the appropriateness of this movie for their children, the movie depicts scenes of Christians being burned as human torches, the bloody body of a dead child, and Christians, including children, in prison waiting to be thrown to the lions). The movie follows Saint Luke’s frequent visits to Saint Paul in prison, seeking wisdom for a struggling Christian community in Rome and in order to document Saint Paul’s story in what was later to be the Acts of the Apostles. The movie also follows the subplots of the dilemma of the Christian community whether to stay in Rome or escape, the conflicts with a faction of Christians who want to raise arms against Nero, a Roman officer’s attempt to understand Christianity, and Saint Paul’s own internal conflict grappling with his past as a persecutor of Christians himself. One of the movie’s strengths was making Saint Paul’s words come alive, putting them in the context in which they were written – a context not so different from our own times. I like how the scriptwriter chose appropriate Pauline quotes for the different situations that the movie depicted. The themes of love, forgiveness, and hope will be appreciated by many. 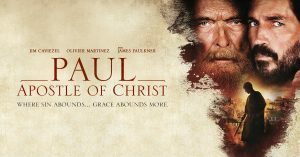 I also like how the movie made Saint Paul himself come alive, highlighting his mental sharpness and his zeal for souls which made seize every available opportunity to speak about Christ to everyone, even his executioners. Another of the movie’s strengths is its depiction of the first Christians – how they lived fraternally among themselves, how their ideals clashed with those of pagan Rome, how they sustained hope and witnessed to Christ in their ordinary lives amidst persecution. The Christian characters other than Saint Paul are just as lovable, and one of my favorite parts is when a certain Christian character’s excellent practice of his profession became an occasion of grace for a non-believer. However, the movie could have given more emphasis on the Eucharist as the sustaining and unifying force of the Christian community. There was a lot of focus on the teachings of Christ as transmitted by Saint Paul, but not enough on the Bread of Life which was the center of life and worship among the first Christians, and which was also a central theme of Pauline writings. More emphasis on the Eucharist would have been also been an apt counterpoint to the movie scenes showing sacrifices to the pagan Roman gods. 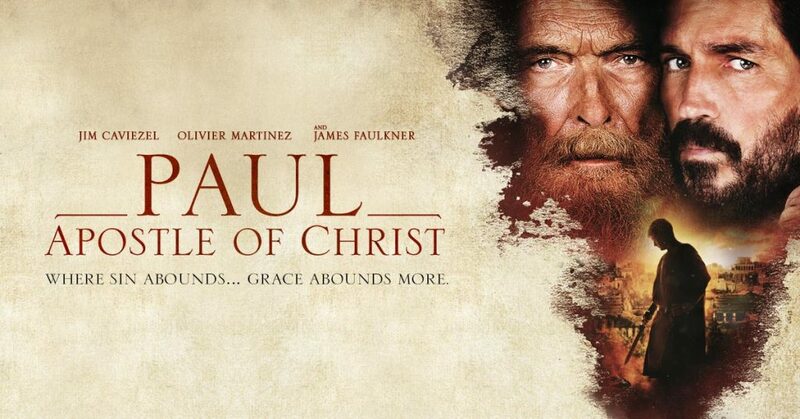 Despite its flaws, Paul, Apostle of Christ is a worthy effort to present the apostle’s life and teachings. Its depiction of Saint Paul as a man with a rich inner life and silent power beneath his aging, battered exterior complements my image of him as a passionate and energetic preacher and man of action. Watching the movie gave me a greater appreciation of Saint Paul’s role in the early Church, and how his teachings are as relevant today as they were during those times.